The Rebel Sweetheart. : KPop Invades the Philippine Concert Scene. Music breaks language barriers - so goes an old saying. And this timeless adage holds true even in this modern day and age. Case in point, Korean pop music. Language is certainly no impediment for Kpop fans. Idol groups, idol stars, and the music that they create continue to be in the spotlight, with their fame extending throughout Southeast Asia and across the globe. The Philippines is no privy to the Kpop phenomenon. There are legions upon legions of Filipino Kpop fans who share the same passion as I do. Sure, not every fan can speak Korean fluently or has a good grasp of the Korean language, but these fans know how to enjoy good music and appreciate musical performances. And with all these personalities coming to the Philippines this month and the next, there is no doubt that the Kpop music scene will once again be the rage in the country. 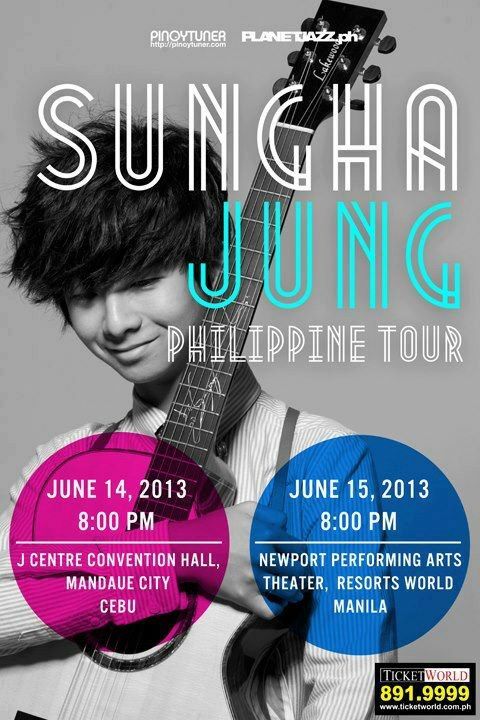 YouTube sensation and guitar wonderboy Sungha Jung will hold a two-day concert for his Philippine Tour. He will be performing at the J Centre Convention Hall in Cebu City on June 14, while on June 15 he will be serenading fans at the Resorts World Manila. 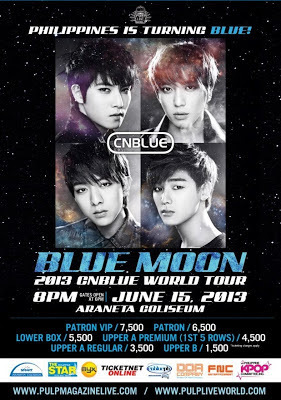 CNBlue will be coming to Manila for the first time, as part of their Blue Moon 2013 World Tour. 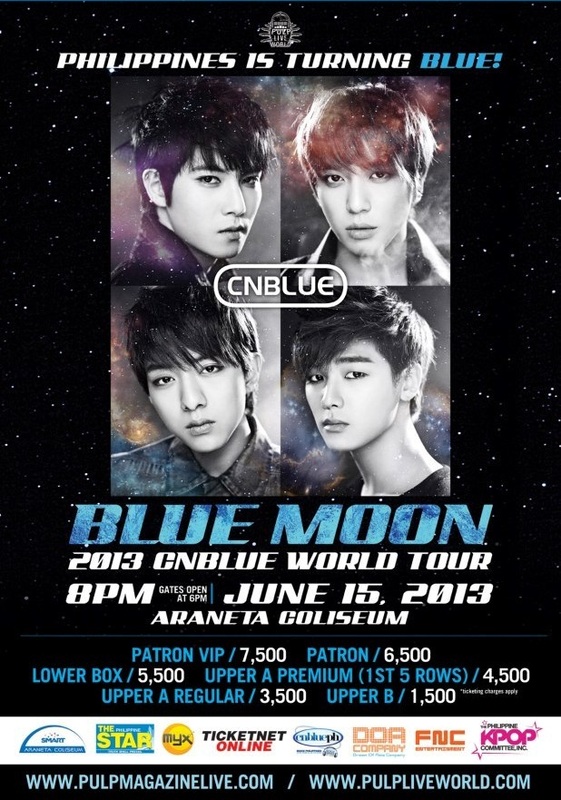 This event will be held on June 15 at the Araneta Coliseum. 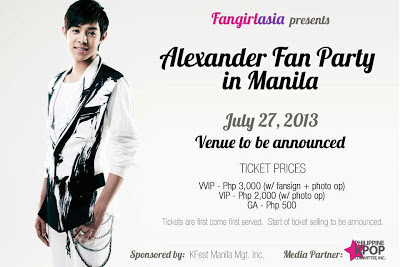 Former UKISS member Xander, aka Alexander Lee Eusebio, will be celebrating his birthday in the Philippines! 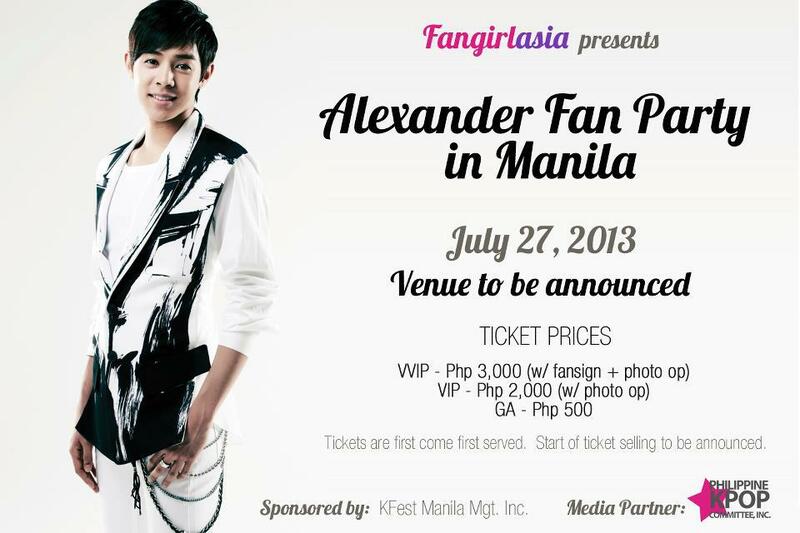 His fan party in Manila will happen on July 27 - the same day he turns 25! 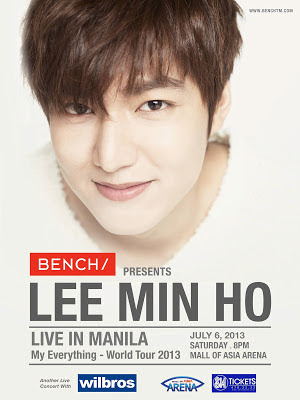 And then there's our City Hunter, Boys over Flowers star Lee Min Ho, who will return to Manila on July 6 for a one-night only concert. The Manila leg of Lee Min Ho's 'My Everything World Tour' will take place in the Mall of Asia Arena. If you're a Kpop fan, be sure to catch these performances. And I'm certain all the die-hard fans out there wouldn't miss out on these events for the world! There are also so many koreans in the country and their culture and music, tv shows are very much appreciated here. I was watching World Top 40 songs (as of now) for 2013 and on #4 is a KPop titled I Got A Boy. I hardly understand what they say but gosh the music video is a visual feast!! Sadly I dont know who they are but yep, I hear about it from my lil sis who's into JPop and KPop. I like those koreian musicians.